Sheikh Nazir Ul Mehdi Mohammadi addressing his supporters in Kargil on May 05, 2016. 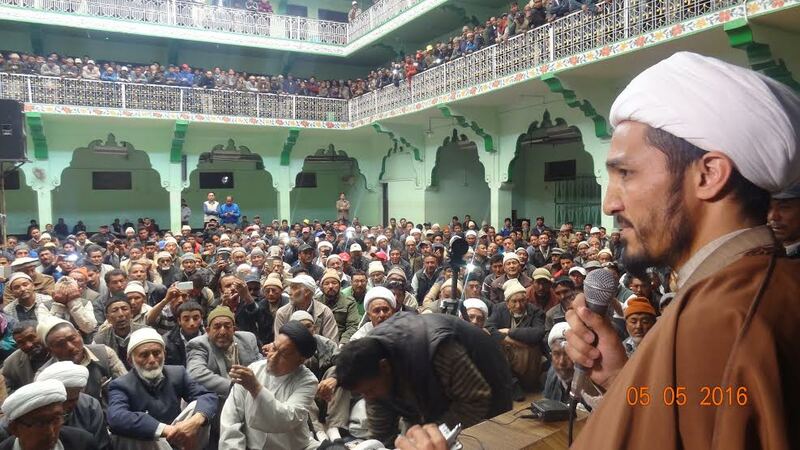 Sheikh Nazir Ul Mehdi Mohammadi has been elected as the new President of the influential religious organization of Ladakh- Islamia School Kargil – for the next five years. 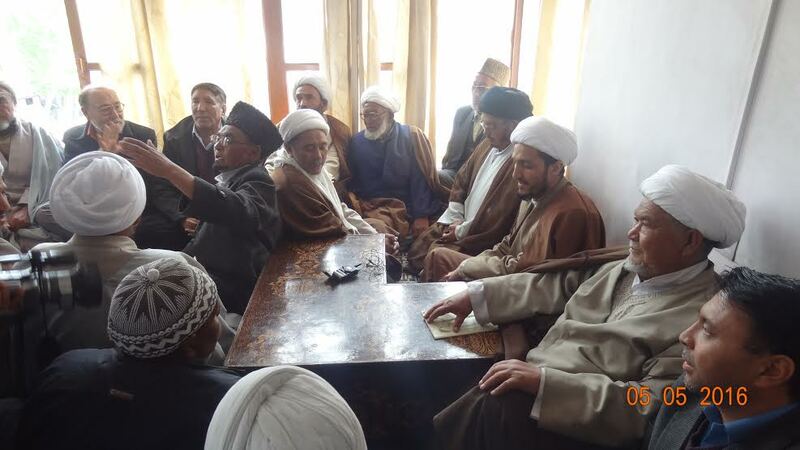 The Ulama (Religious Scholars) as well as senior citizens of Kargil district participated in the election. Shiekh Nazir Ul Mehdi is son of late religious leader of Ladakh and former president Sheikh Ahmad Mohammadi. He defeated the lone contender for the post, and former Vice-President Aga Syed Jamal Uddin Mossavi. A total of 242 votes were in favour of the elected president out of 370. On this occasion, speaking to the Ulama Council and the people of Kargil, Sheikh Nazir Mehdi Mohammadi expressed happiness that the people of Kargil reposed faith in him and electing him for this important and responsible post. The meeting of Ulama Council of Islamia School Kargil on May 05, 2016. He presented his resolution as the new president that he will try to strengthen the works of Islamia School Kargil and will restructure the important and needful, the youth wing of Islamia School Kargil. He urged upon the people to present their views and suggestion to him through a suggestion box which will be placed at the gate of Islamia School Kargil and will be the first task he is going to do.